If you’ve recently been attacked by a narcissist, chances are you’re reeling. 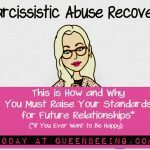 I can understand where you’re coming from – I’m a survivor of narcissistic abuse in relationships. I have two things for you today that you really need – one to watch/listen to and the other to help you through this difficult moment and to continue to help you grow through it. 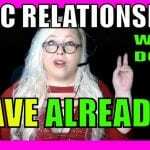 First, watch this video (below), and when you’re finished, head over and pick up your free PERK (Post-Gaslighting Emergency Recovery Kit) right here. Did you watch the video? What did you think? What would you add? Share your thoughts and experiences in the comments. Let’s discuss it. CommeI know a psychiatrist who is a narcisstist.